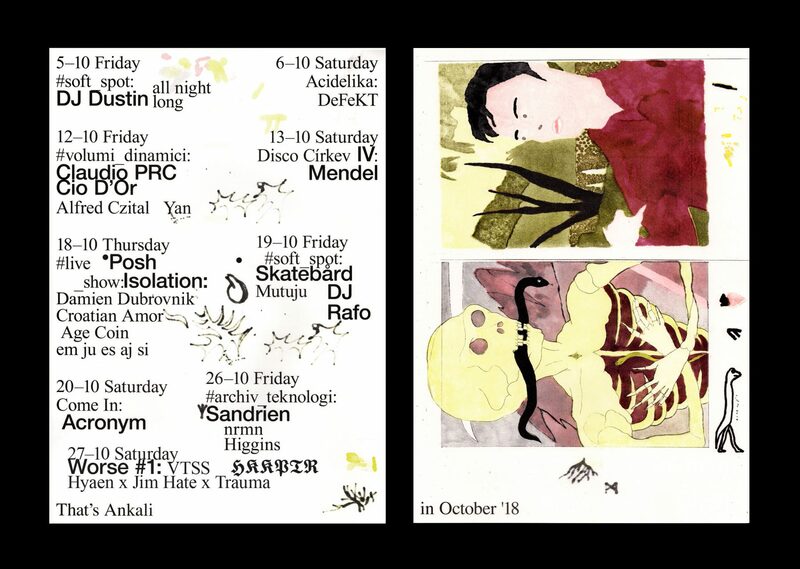 The October edition of Archiv Teknologi will see the De School resident Sandrien drop a healthy dose of brainy techno along with the nomadic party series Cukr co-founder Higgins and our resident nrmn. Sandrien is a Dutch selector and currently a resident of the beloved Amsterdam club institution De School and a former resident of the now-defunct club Trouw. It is no surprise that once you cut your teeth within such an important scene, the world will soon recognize – in the past few months she played in Berghain, IfZ, ://about blank and Tresor. Warming up the floor for her local debut will be nrmn, our resident with penchant for fast-paced techno and beyond. Wrapping up the lineup is Higgins, one of the founders of the party series Cukr where the likes of Seatoc Mass and Wrong Assessment have performed.